A Summer Lawn Concert raising funds to rebuild sleeping quarter for Girls Orphanage located in Kyite Latt (Irrawady Delta Region, Myanmar (Burma)). The sleeping quarter was destroyed by Cyclone Nargis in May 2008. We plan to rebuild the girls’ sleeping quarter in the orphanage in Kyite Latt as it is in unlivable condition. 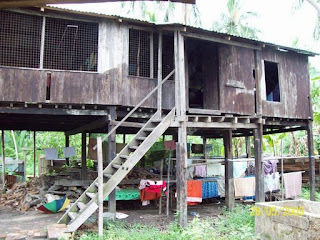 It is a two-storey wooden structure that was damaged during the cyclone Nargis last year. Moegyo was able to bring an engineer crew on second visit to school to make assessment and to do estimate on rebuilding cost. It was estimated that rebuilding would cost around $10,000 using brick and concrete foundation to and wooden structure at the top. We are now raising money for rebuilding the girls’ sleeping quarter.